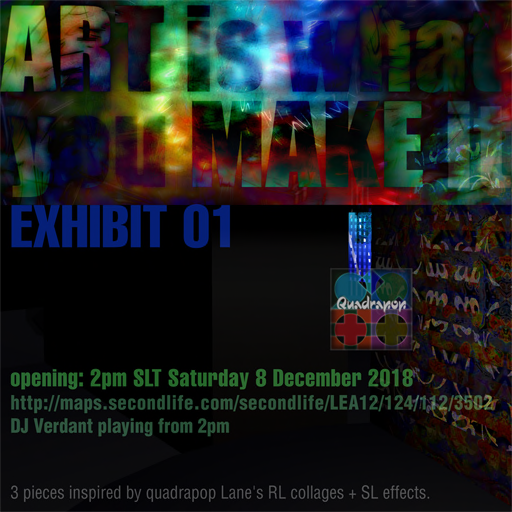 Opening party 2pm SLT December 8 2018, with DJ Verdant supplying music inspired by the artworks. You are invited to view three works on display for a short period on LEA 12 sim. Be sure to turn on your advance lighting and ready your windlight quick presets (ambient dark and misty morning or evening settings recommended). Come see what materials and lighting can do for abstract works inspired by quad's own RL collages.